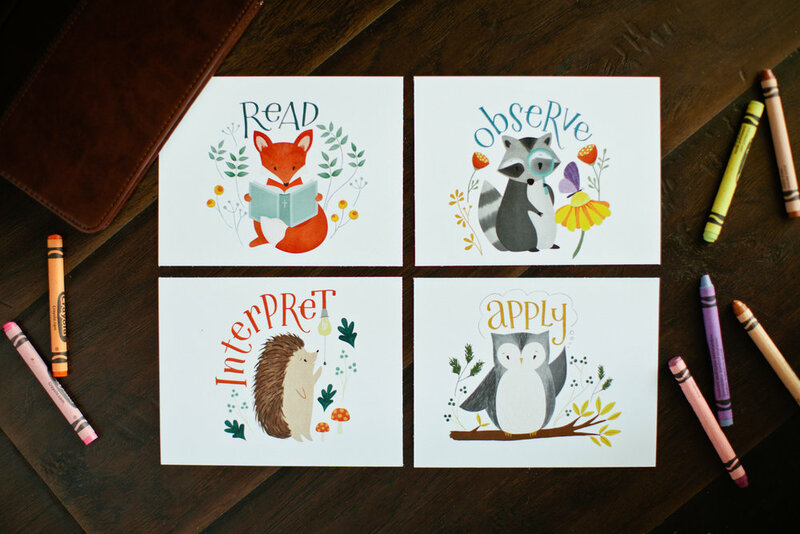 This is a guest post by Holly Mackle. Same Here, Sisterfriend, Mostly True Tales of Misadventures in Motherhood, a collection of mommy humor essays from author Holly Mackle & co., releases April 17th, but guess what? 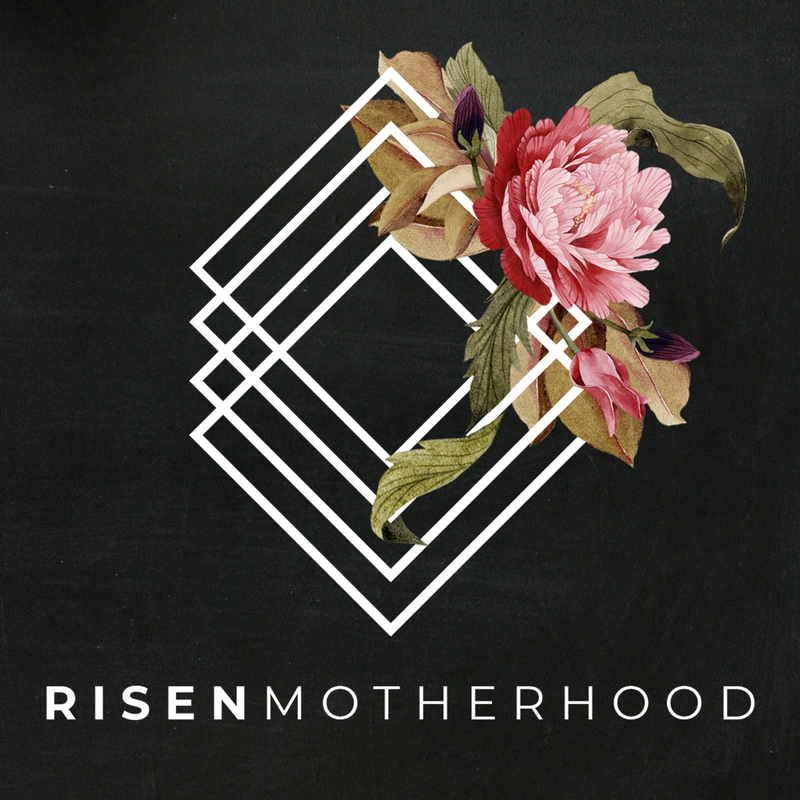 We’ve got a special pre-order discount just for members of the Risen Motherhood community! Use code RM20 here to get 20% off your pre-order. When my oldest was three, we had a small concrete pad poured to host our trash and recycling bins. Just as the workers were finishing up, she and my husband, David, went outside to check on the progress, see if they needed anything, and admire their work from a safe distance. As they arrived, the construction guys slid the slidey-rake-things one last time across the top of their freshly-smoothed work, and stepped back to admire the fruits of their labor. Five seconds of small talk later, David said the three-year-old looked up at him, looked up at the workers, and took off in a sprint. I need not tell you in which direction. David reports she ran full-tilt and leaped, arms and fingers splayed, with the slow-mo perfect form angle of an Olympic long jumper, landing three-year-old feet, hands, and booty into freshly-poured concrete. David is unable to report the exact details of what happened next as he may have blacked out. He does, however, remember the workers doubling over in hysterical laughter. Two days, one pair of ruined kid shoes, and several loads of laundry later, I returned home from my conference to a story that will last far longer in minds and hearts than anything I picked up at that conference. I returned to a story that defines these early years of our parenting. I returned to a story we tell at parties and will most definitely, one hundo percent tell at her rehearsal dinner. Now, it’s easy to tell David’s funny story here. Thanks, Schmoopie. (I don’t really call him Schmoopie.) (BUT WOULDN’T THAT BE AWESOME? HE WOULD LOVE IT SO VERY MUCH.) What I mean is it’s easy to make this a lighthearted, humorous story about David and our bitty girl because I was not present and not laundering multiple times everything she had on that day or Googling how to get wet concrete out of kid shoes. It’s easy to laugh because I wasn’t in it. But the truth is I’m “in it” a hundred times in a normal day. And I’m rarely laughing. I’m rarely laughing because I can rarely see in the moment anything beyond the loads of laundry or how many Brawneys it’s going to take to clean this up or whether or not this is going to make us late for school. When I consider the kind of mom I want to be—well, Short-Sighted Grump is not quite the look I’m going for. But since being breezy tops the list of things I have a hard time remembering to do (just behind defrosting meat), I’m so thankful for my sisterfriends—the women who are also “in it” every day, who still take the time to remind me to laugh and lean into the crazy and not get swallowed up by it. They remind me that God—not me—is responsible for setting concrete and growing babies, and perhaps I’m freer to laugh than I realized, particularly when my daughter reports she just successfully flushed the potty with her mouth. I want to be the kind of mom who knows how to laugh now, and not just in twenty or thirty years at a rehearsal dinner. Sisterfriends are like a good elbow nudge, aren’t they? They’re a gentle shake from the realities of the moment, reminding us to step outside them, to evaluate the unset concrete moments from a different perspective, and oh look that’s actually pretty funny what just happened right there. I need them when my kid starts purring like a kitten in the grocery checkout line. I need them when my oldest refers to Cinderella as the Old Testament and Cinderella II, Dreams Come True as the New Testament. I definitely need them when The Child Who Must Not Be Named asks if I can write out all her dinner options on a piece of paper and give it to her to choose from. Let’s say you’ve picked your sisterfriends and they also love Jesus and walk with him. WELL. Now you’re talking triple threat. That’s just the kind of person I want at my back urging me forward in loving God and my people well, and it’s worth the effort to find her. 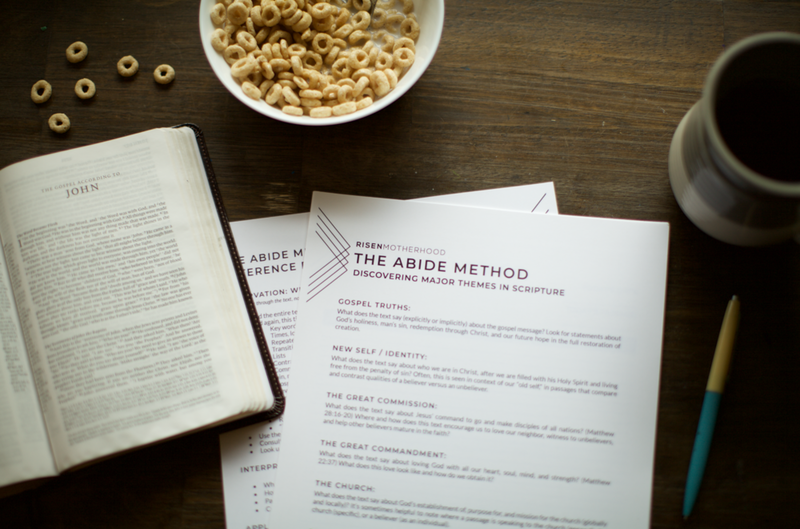 Spicy women who know their Bibles AND Mary Katherine Gallagher are everywhere—you just might have to do a little work to find them. We moved around a ton growing up, and as I got older I started asking God to give me one real friend each place we landed. Without painting him as some genie in a bottle –Your wish is my command sort of God – I must tell you he did just that. He didn’t have to, but he saw fit to answer my prayer with a yes. That experience has emboldened me for all of my adult life, and my prayer is that it would do the very same for you—that if you feel yourself lacking in the sisterfriend department, you would ask, and ask with the confident trust of a daughter who knows her Daddy loves her with a crazy love. Because if you know him, when you put your trust in his son Jesus, you find he’s had his arms wrapped around you all along. Oh, it’s a joyful embrace. It’s one full of delight, complete understanding and knowing of one another—both in the dark days and in the bright, sparkly ones. It’s the most perfect embrace that leaves all others lacking. It’s the kind of joy that sustains our souls when they are spent, but also knows how to bubble over into laughter. And just as we whisper into the ears of a tearful child, “I’ve got you,” God’s promises ring true in scripture to remind us of his sovereignty and grace in our lives. God has us, even in the hard, even in the ridiculous. He can put protection around us—sometimes it will look like friendships. He might put us in situations where we will have to trust him in the seeming or actual dark silence. He can call out the strength he puts in us. He can give us everything we need to parent the children he’s asked us to raise. And he can do it all for our ultimate good and his glory. So laugh, my friend. Laugh with the abandon of your head tossed back and loud enough for others to hear and with the delight of a daughter, safe in her Daddy’s arms, come what may. And allow yourself a moment to snag a picture while your little ones are log rolling through the freshly poured concrete. Why not? The mess is already made. And your sisterfriends might need a good laugh, too. Holly Mackle is the author of Same Here, Sisterfriend, Mostly True Tales of Misadventures in Motherhood, a collection of mommy humor essays written with some of her funniest friends. From her home in Birmingham, Alabama, Holly blogs life and tomatoes at Digging Suburbia, and spends much of her time explaining to her two girls that their hair will not do exactly what Queen Elsa’s does.